DiMarzio® Guitar & Instrument Cables are unsurpassed for connecting guitars, basses and keyboards to amps. Exceptionally crisp, clear, quiet and durable, they outperform cables costing much more. They've been called "the new industry standard," and have successfully passed Guitar Player magazine's "chop" and "jump rope" tests as well as many other torture tests. Custom designed low-capacitance American-made copper cable ensures low stage noise and guarantees consistent sound and improved high frequency response. 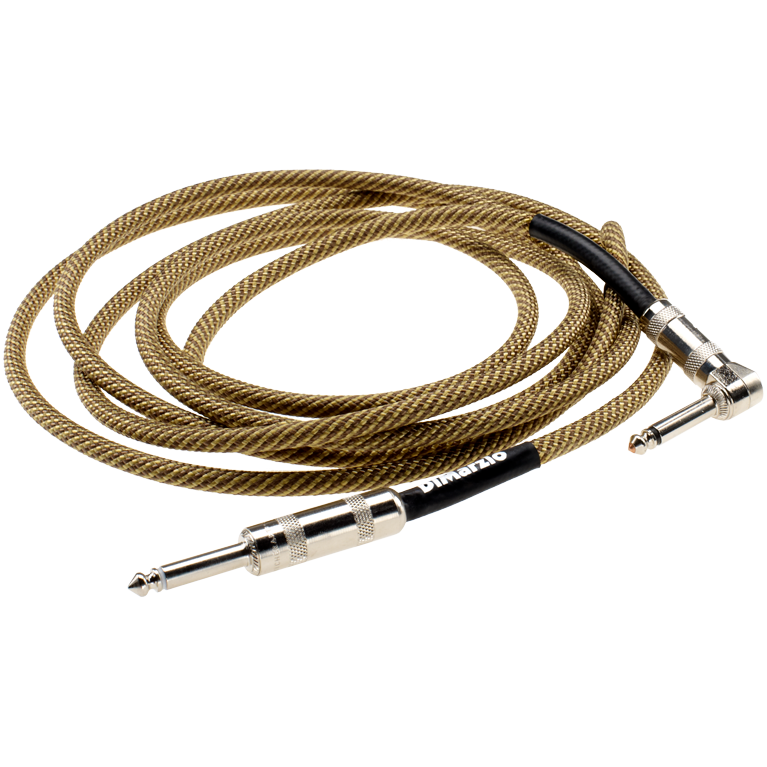 DiMarzio® Instrument Cables are encased in a durable nylon braided jacket which is designed to lie flat, decrease tangling and protect the cable. DiMarzio® Instrument Cables come in 6-foot, 10-foot, 15-foot, 18-foot and 21-foot lengths. Right angle and silent ends are available. All DiMarzio® cables are hand made in our NYC factory.